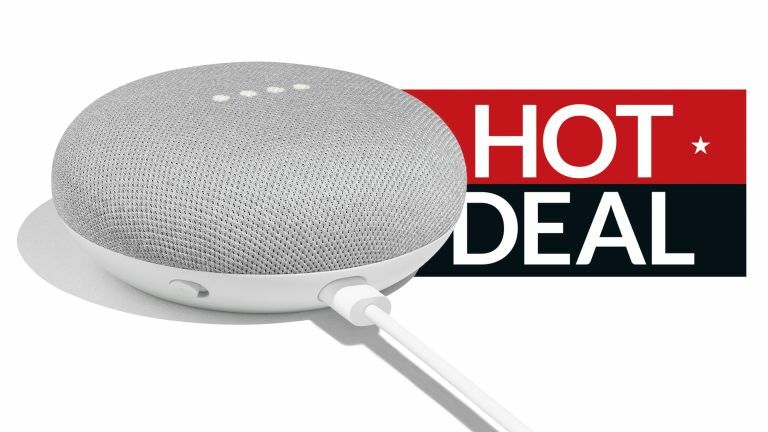 Tech enthusiasts currently looking to upgrade their abode with one of the very best smart home speakers on the market today should look this way as Argos are currently offering the well-received Google Home Mini with a big fat 40% discount. The Google Home Mini is Google's answer to the Amazon Echo Dot and, as we noted in our review of the system delivers "an attractive design that fits into just about any room, it has a clean and appealing companion app, and it just works." The great thing with having a Google Assistant-toting smart speaker in your abode is that it can control every aspect of your smart home life, be that operating the best smart bulbs and lights going, moderating one of the best smart thermostats on the market, directing a system of the best security cameras available or turning on and off any appliance connected to one of the best smart plugs. And Google Home Mini does all this while remaining only the size of coaster. Yes, it doesn't have the audio chops of larger units like Google Home, but considering you can connect it to another speaker via Bluetooth then that really isn't an issue - you can check out the best Bluetooth speakers on the market here. Overall, then, a great smart home speaker that is now available at a very attractive price point.